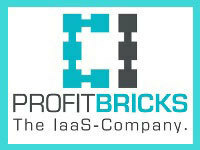 ProfitBricks ? the Cloud Computing IaaS price/performance leader offers more speed, flexibility and value than any other cloud provider. With flexible cloud server sizes, advanced network capability and a data center designer GUI, ProfitBricks is Cloud Computing 2.0. Start a free trial today!